A spicy baked fish dish that pairs well with couscous or brown rice! This recipe comes to us from Montana State University Extension Nutrition Education Program. Ask your junior kitchen helpers to scrub veggies, wash the tops of cans, or make a side dish like couscous! Oil or grease a baking dish with cooking spray. Cut fish into four pieces and place in baking dish. 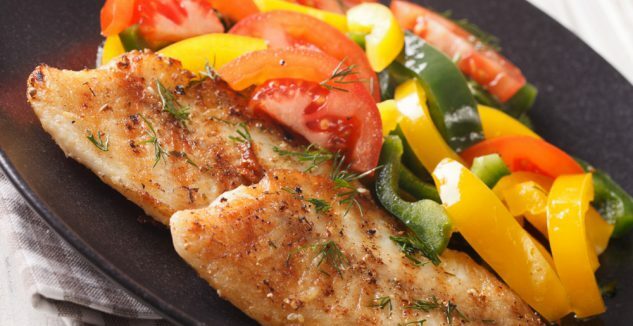 Top fish with onions, green peppers, tomatoes and seasoning. Bake until fish flakes, about 20 minutes.